The Eagle Scout Association - Sam Houston Area Council is a fellowship of men who have achieved the Eagle Scout rank who desire to use their efforts and influence toward forming the kind of young men America needs for leadership. Membership is open to all Eagle Scouts; there is no charge to join. The ESA-SHAC is a Sam Houston Area Council committee affiliated with the National Eagle Scout Association (NESA). We would like to invite you to an informative breakfast with two dynamic speakers, Randy Scofield President & COO of KSA Industries & Forrest Bjerkaas Council Commissioner and Board Member of Sam Houston Area Council. Come enjoy a breakfast at the Sam Houston Area Council and listen to our guest speakers discuss Scouting and how it has impacted their lives and careers. We look forward to seeing you there! 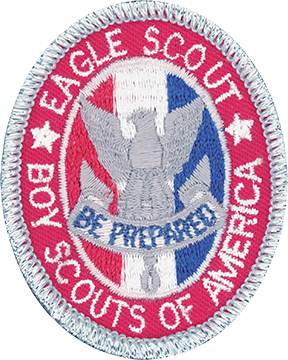 Do you miss your Eagle Scouting days? Want to get back in on the fun? Don’t worry, you can still be an important part of the Eagle Scout experience! Joining the Eagle Scout Alumni Association will help keep you up to speed on what’s happening in scouting, for both yourself and young people who are just getting started. You can feel the thrill of scouting all over again while you help introduce the next generation of Scouts to the same unique Eagle Scout experience you had. That means getting to relive all of the excitement, challenges, and adventure that you enjoyed when becoming an Eagle Scout, through the keen eyes of your rookie Eagle Scout companions.